Penzance will have its own 'work hub' providing facilities for professionals, freelancers and start up businesses from April this year. 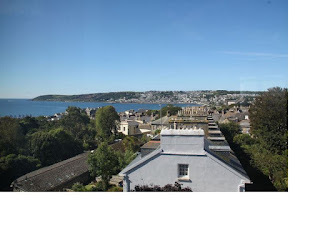 The new work hub, named the Workbox by Tim Dwelly, the founder of the project, is going to have some of the best views of any work hub facility in the UK because it is on the third floor of the Penlowarth Building (the old Tax Office) adjacent to Morrab Gardens. Approximately 50% of the £250,000 funding came from the Business Catalyst Fund. The Penzance Chamber of Commerce lobbied the LEP to support this worthwhile project which will provide a supportive enviroment for start businesses and those who have recently become self employed.